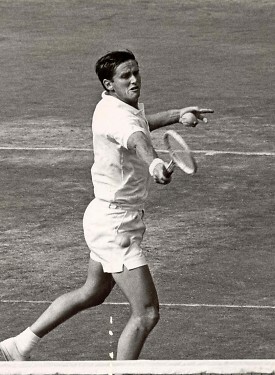 While he was amassing a staggering 12 Grand Slam singles championships over the course of the 1960s-winning all four majors in the process-Roy Emerson was the sport’s model of fitness, sportsmanship, and craftsmanship. 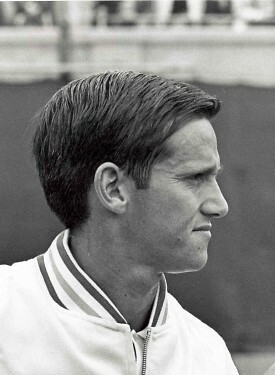 “Emmo” was not out to win any awards for artistry, but rather he kept coming forward assertively, taking the tactics of percentage tennis to an exceedingly high level. Celebrated for his toughness on the court and his congeniality away from the arena, his methodology and temperament were the twin motors of his success.